That was back in 1947 and since then the Footballer of the Year Award has become the most prestigious award in the British game. Voted for year on year by the FWA members, the first recipient was the legendary Sir Stanley Matthews and ever since players have been honoured for their achievements. Mo Salah was voted the Footballer of the Year for 2018 by the Football Writers’ Association. The Liverpool winger topped the poll ahead of Manchester City’s Kevin De Bruyne, with Tottenham’s Harry Kane coming in third. 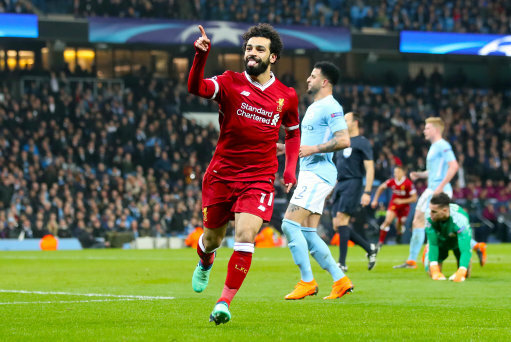 Liverpool’s Mohamed Salah celebrates scoring his side’s first goal of the game during the UEFA Champions League, Quarter Final at the Etihad Stadium, Manchester. The FWA Tribute Award is presented on an annual basis to an individual that the committee feels has made an outstanding contribution to the national game. The Award is presented at a gala dinner at The Savoy hotel every January.